Work instructions are time consuming to generate for engineers, often requiring regeneration from scratch to address minor changes. They need to be produced in varying levels of detail, with varying guidelines, for multiple stations, operators and lines. Minor component, station or process changes – down to the modification of an individual BOM component – can cause headaches when attempting to maintain consistency across multiple work instructions that are touched by the change. Optel provides a Database Driven Paperless Work Instructions solution to improve efficiency and save engineering time. 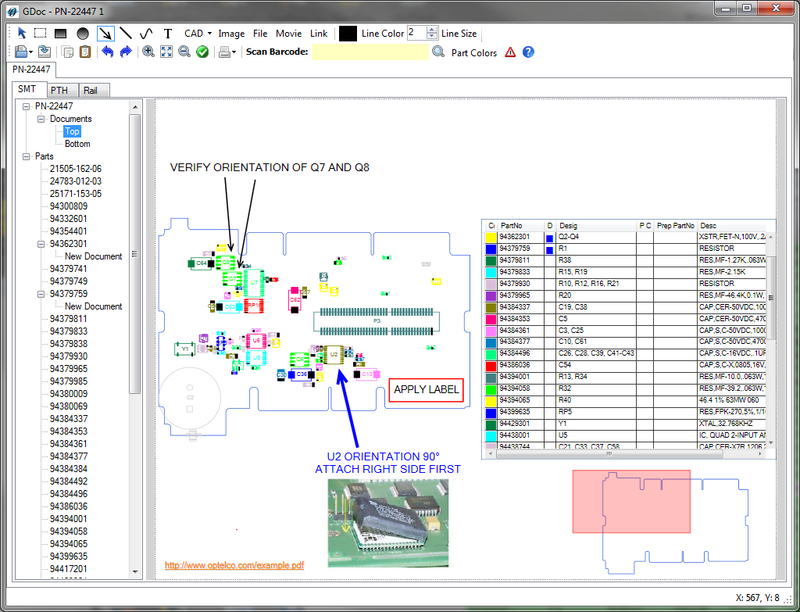 Manufacturing details, component information, process guidelines, annotations, machine-specific data, and more are stored in one central database. Any information stored in this single repository can then be modified quickly in one location and automatically propagate seamlessly throughout multiple work instructions. These can be instantly printed out or displayed on screens at appropriately affected stations with the simple click of a button, as opposed to regenerating from scratch, or going in and reviewing many documents to find and update with the change. Hierarchical relationships between data ensures product assemblies will be consistently and correctly structured by circuits, sub-assemblies and components. The system understands the complete manual assembly process to be implemented – from scheduling to line balancing and inspection – in order that work instructions are generated dynamically as needed. Database driven multi-media work instructions do not need to be implemented at every station, but should be where possible. Workload can vary significantly by shift, staffing differences, and number of stations being used. Optel allows for quick line re-balancing and regeneration of work instructions based on available resources. As instruction changes are necessitated at the part or sub-assembly level, work instructions are dynamically updated for all product assemblies where that information is being used. Electronic documentation allows for any kind of media to be used that a client PC or tablet can support. The system does not rely on integral database knowledge or lengthy training to be used – the usage is abstracted to a software platform aiding engineers or operators. Assembly instructions and documentation are managed in one central repository so that consistency is ensured. All documents are generated on an as-needed basis and displayed on screen when used. An option for manual documents to be printed is provide, but not the recommended goal.